Home Gandhi Lok Sabha Scheme Sports youth Rajiv Gandhi Khel Abhiyan and Urban Sports Infrastructure Scheme achieved desired results in sports. Rajiv Gandhi Khel Abhiyan and Urban Sports Infrastructure Scheme achieved desired results in sports. (e) the details of schemes/programmes implemented/being implemented by the Government for revival of such sports which are presently in dismal position in the country and the achievements thereof along with the other steps taken/being taken to improve the performance of Indian sports in national and international competitions? (a) & (b) „Sports‟ is a State subject and development of sports in the country, including improving the level of sports is primarily the responsibility of the State Governments and the National Sports Federations (NSFs) concerned. The Central Government complements/supplements the efforts of the State Governments and the NSFs. Improving the level of sports in the country is a continuous process being undertaken by this Ministry through relevant sports promotional schemes. This Ministry implemented Urban Sports Infrastructure Scheme (USIS), a Central Sector Scheme from the year 2010-11 to 2015-16 for development of Sports infrastructure facilities. 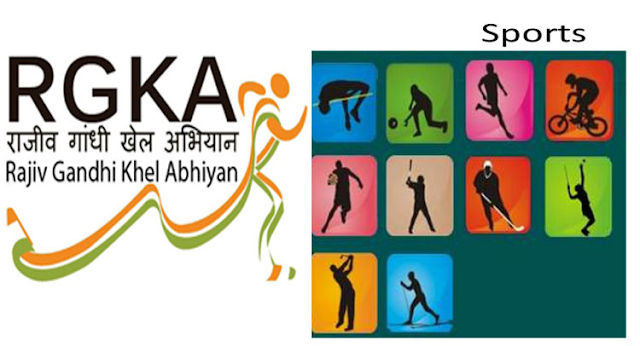 The Rajiv Gandhi Khel Abhiyan (RGKA) which was implemented from 2014-15 to 2015-16 provided for construction of sports complex in each block of the country and for holding of annual sports competitions in the country at Block, District, State and National levels. Under USIS, financial assistance for 62 sports infrastructure projects were sanctioned and under RGKA, financial assistance for 4 indoor halls were sanctioned. During 2014-15 and 2015-16, various Sports Competitions viz., Rural Competitions, Women Competitions, North East Games and Left Wing Extremism Affected (LWEA) Area Competitions were held under RGKA with a total participation of more than 44 lakh boys and girls. An independent evaluation study of USIS was carried out by this Ministry through M/s Gayatri Rural Educational Society (GRES), Srikakulam. As per the evaluation report which was submitted in 2015, it was concluded that USIS is a very good and very important programme as it also caters to youth outside educational institutions. The RGKA Scheme envisaged to provide funding through convergence of various Schemes implemented by Ministry of Rural Development, Ministry of Panchayati Raj, Ministry of Development of North East Region, and erstwhile Planning Commission. However, RGKA could not take off in desired manner as no funds could be obtained towards implementation of RGKA due to non-convergence of various Schemes of the concerned Ministries. Accordingly, inputs and suggestions available in the report on USIS along with the recommendations / suggestions of three Regional Conferences held between April and May, 2014 with State Governments and conference of Ministers and Secretaries of States/UTs in Charge of Youth Affairs & Sports held in 2015 were considered when the USIS along with RGKA and other schemes were subsumed under a new Scheme called Khelo India – National Programme for Development of Sports which was implemented during the year 2016-17. The Khelo India Scheme was further revised and revamped in 2017-18 with a view to achieving the twin objectives of mass participation and promotion of excellence in sports. The State-wise details of funds released under RGKA and USIS during 2015-16 is given at Annexure – I. Since both schemes were subsumed in Khelo India – National Programme for Development of Sports in the year 2016-17, no funds were sanctioned under the said schemes from 2016-17 onwards. (c) No complaints received in this Ministry regarding irregularities / corruption in implementation of USIS and RGKA. (d) This Ministry is implementing Khelo India Scheme which, inter- alia, includes the verticals “Talent Search and Development” and “Utilisation and Creation/ Upgradation of Sports Infrastructure”. The vertical “Talent Search and Development” provides for identification of talented players in priority sports disciplines at various levels through different avenues in a transparent manner and develop them through a Long Term Athlete Development (LTAD) Programme. The vertical “Utilisation and Creation/ Upgradation of Sports Infrastructure” provides for filling up of critical gaps in sports infrastructure. (e) This Ministry implements Khelo India scheme for the development of sports in the country including for the revival of such sports which are presently in dismal position. The Khelo India scheme provides for encouraging sports for all thus allowing the population across gender and all age groups to harness the power of sports through its cross-cutting influence, namely, holistic development of children & youth, community development, social integration, gender equality, healthy lifestyle, national pride and economic opportunities related to sports development through its twelve verticals. The major achievements of Khelo India Scheme are given at Annexure – II. 1st Khelo India School Games held from 31st Jan – 8th Feb, 2017 in which 3507 sportsperson participated in 16 disciplines. 2nd Edition of Khelo India Games (Khelo India Youth Games) held from 9th to 20th January 2019 in which 5925 sportsperson participated in 18 disciplines. 89 sports academies have been accredited for training of identified sporting talents. Financial assistance sanctioned for conducing sporting activities in 14 States (Left Wing Extremism Affected Areas / North Eastern States / Jammu & Kashmir) during 2018-19. 39 sports competitions conducted under the “Ek Bharat Shresth Bharat” programme to promote rural and indigenous games conducted during the period from January, 2018 to January 2019. Finance assistance approved for the Women’s World Boxing Championship, 2018 held in India. 201 physical education teachers trained to act as coaches at the community level. 130 new sports infrastructure projects approved in 25 States & 2 UTs at a total cost of Rs.766.72 crore.